Your eyes do so much to bring you the world as you know it that it only makes god sense to take the best possible care of them. But problems with your eye health, eye function or visual acuity can be so subtle that you aren't even aware of any impairment and by the time you experience obvious symptoms, your eyes may have already sustained irreversible damage. The only way you can really know the current state of your ocular health and wellness is by scheduling an annual eye and vision exam with a skilled optometrist. Here at Austin Vision Center, we're ready to serve as your ongoing source for high-quality eye and vision exams in Austin, TX. Our Austin optometrists, Dr. Mark F. Hutson, emphasize annual or semi-annual eye exams because the eye's health and function can change over time and the earlier we are aware of those changes, the earlier we can prescribe treatment that can improve our eyesight or even save you from eventual blindness. One big advantage our Austin optometrists can offer is wide-angle retinal examination without any need for pupil dilation, an annoying and inconvenient process traditionally required to get the best possible view of the inside of the eye. Our Optos retinal imaging system can take a 200-degree image of the eye's interior even through normal pupil constriction, which means no stinging eye drops, light hypersensitivity or wearing dark glasses afterward. The extreme detail and scope of the Optos system can even point out blood vessel abnormalities that might indicate serious issues in other parts of the body. Your eye doctor in Austin will also perform eye function testing to see how well your eyes are relaying information to the brain. If the optometrist detects strabismus (incorrect eye alignment), amblyopia ("lazy eye"), eye teaming problems or convergence/focus abnormalities, we may be able to correct them through visual therapy exercises and other techniques. 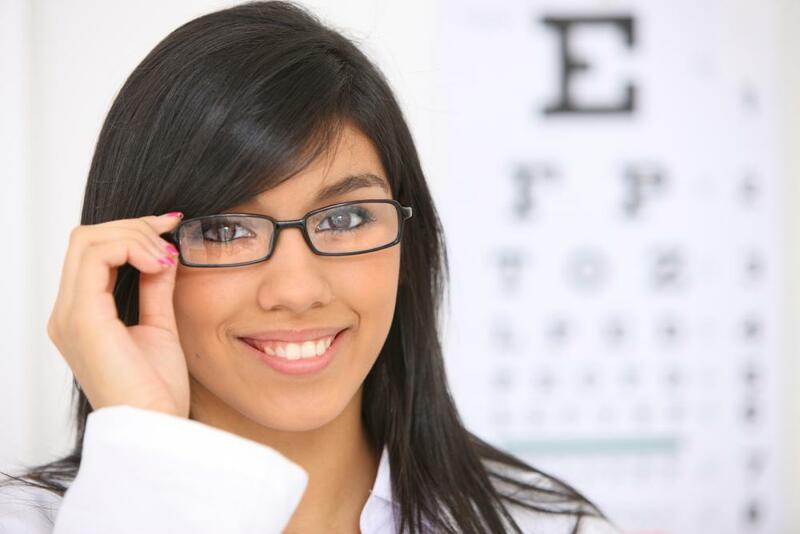 Visual acuity testing is another essential aspect of eye exams in Austin. Your optometrist can tell from your ability to read a Snelling eye chart whether you have a refractive error such as myopia, hyperopia, astigmatism and/or presbyopia. If you do, we will calculate the precise amount of vision correction you need and provide you with stylish eyeglasses, comfortable contact lenses or both. Need an Eye Doctor in Austin? Schedule Your Next Eye and Vision Exam With Us! For more information about our vision services or to schedule an eye exam, give us a call today at (512) 477-2282 . Our Austin optometrists are always happy to see you!